Gionee E3 has been in the news recently and today also they have made an update about the same on their Facebook page. But that’s not all, Gionee has launched their successor of GPad G1 and as easily predictable they have named it as Gionee GPad G2. 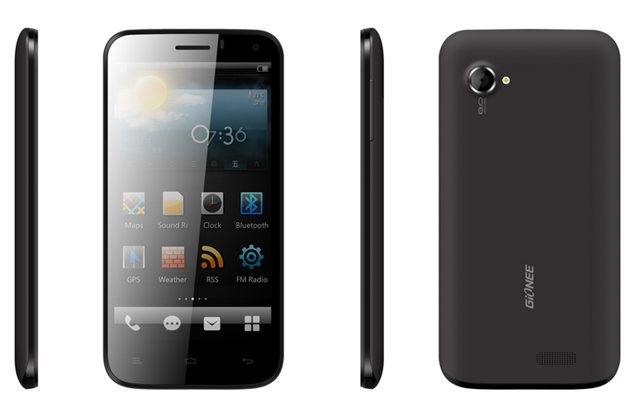 This new phone is bigger in size when compared to the Gionee GPad G1 and it is also more powerful as compared to its predecessor. Let us talk and compare the specs for the phones in detail. You can read about the detailed specifications of Gionee GPad G1 in our quick review section, there you will see that the processor used then was a Dual Core Processor with the architecture of Cortex A-9 clocked at 1GHz and now they have got a Quad Core Processor which is clocked at 1.2 GHz (the architecture of the processor is unknown yet). RAM memory has also been doubled from 512 MB to 1GB, so in all the power has been increased which was obviously expected. The camera configuration is the same as we will have 8MP camera which will be supported by LED Flash and the feature to record HD video with the resolution of 720p, the secondary camera will be of 2MP. You can know more about the details of Gionee GPad G2 in our quick review section. The camera is almost the same but the screen size which was 5 inches previously has been increased to 5.3 inches and the resolution of 960 x 540 pixels. The Battery backup of this phone is also appreciable which is 3000 mAh and sufficient for the phone with such a screen size and processor under the hood. You will get a screen guard, a flip cover and a memory card of 16GB with the phone where as the phone will have the internal capacity of 4GB. The phones will be available on the online stores at the price of 13,990 INR we will update you with the links from where you can buy it.